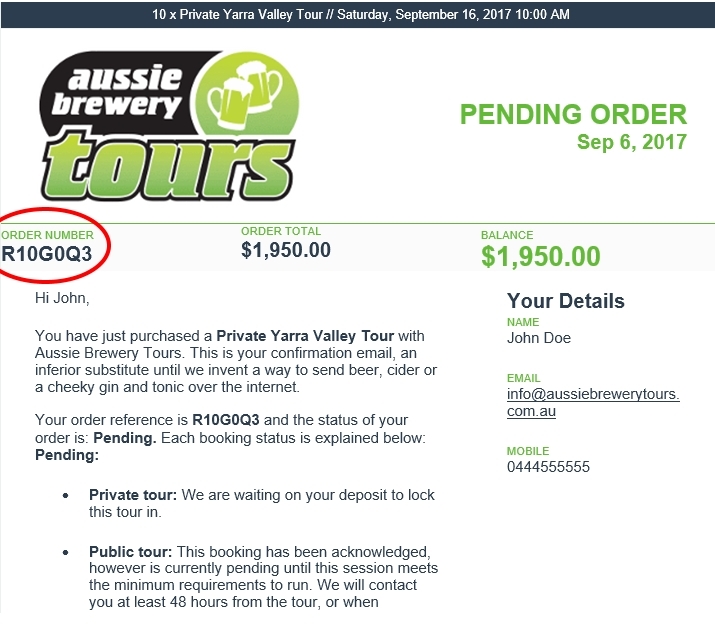 Email or phone us - 1300787039 or info@aussiebrewerytours.com.au - for a quote. We will build your tour and as soon as you are happy we will create and send an order to you via email. Select >20 to open a free format field where you can enter any dollar amount. Enter the correct dollar amount and click "buy now". Then fill in your personal details, the Order Number (in the correct field), payment details and away we go! We will then update your order with this payment and send it to you (usually within 1 business day). 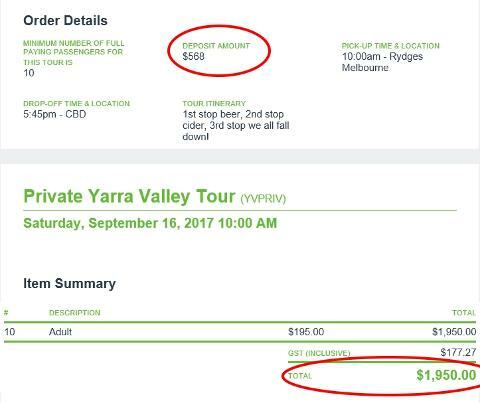 Aussie Brewery Tours has successfully taken over 10,000 people on tour. We believe that you should be allowed to drink, sing, laugh, dance and be merry, however, it is also important that you aren't antisocial. If we need to explain antisocial behaviour to you, then our company and venue partners would prefer you stay at home. Any behaviour that impacts those around you in a negative way, is not cool. The venue staff, their patrons, the public and our guides should also be able to enjoy your company. Having the awareness around you to read the crowd and situation is important, our venues are public venues with other patrons including families and kids. All our venues adhere to Responsible Serving of Alcohol (RSA) laws. If you are asked to leave a venue for inappropriate behaviour, the tour is over. We have a strict no-drinking policy on the bus, this is in accordance with state alcohol laws. We will, however, drive you from venue to venue and, no surprises here, no venue has run out of drinks. We have also never heard the words "I didn't get to drink enough today" after one of our tours. We have however heard rousing renditions of Daryl Braithwaite's The Horses sung on the way home - so all indications are that, "you'll go riding on the horses yeah yeah"! We like to run fun, relaxed, cruisey tours, where we eat and drink at our own pace. Please note that if you want to dress up, either as a group or an individual (buck, hen, birthday person, work colleague) ensure you have a change of clothes as not all the venues will allow costumes - please chat to us about this if it is a concern. We do not allow crude/offensive costumes or props - again it is just not appropriate. Remember that dressing someone up will bring more attention on you and your group, which isn't always something you want! In short, we don't like harping on about rules. We have fantastic customers, run awesome fun events, visit great hospitality venues and genuinely believe that people can be trusted to head out, have some drinks and enjoy a fantastic time. Treating others around you with respect will increase your enjoyment of the day as staff will be in a good mood, other patrons become your friends and good times are had by all! We recommend you send this Code of Conduct to everyone coming on the tour!